1.3 What's this about blogging? Finding more information about educational blogs is as easy as doing a web search e.g. this ultimate guide to using blogs. Finding examples of great educational blogs can also be done with a web search e.g. Edublog Award winners 2014. Read some informative blogs such as Do Educators Really Need Blog Posts? or Start Your Teaching Blog: Resources, Advice, and Examples. As you explore these blogs, make a list of features, design elements, qualities, content that would be useful for your own blogging experience. 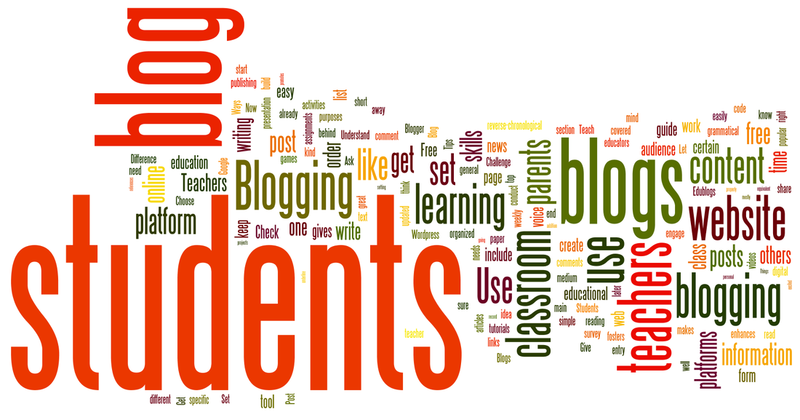 What are the qualities of an effective educational blog? What features resonate or reflect your personal interests or style? Consider how you will demonstrate the Qualities of An Effective Teacher within your blogging space. Collect a few relevant or interesting links and annotate them for future reference. For the purpose of this course, you can use Wordpress, Edublogs, Blogger, or Weebly. If choosing Edublogs or Weebly, a FREE PRO account is available through your instructor. Please check with your instructor if you are interested in any other blogging tools. Learn about the features and affordances of blogs. Linking to the HELP section on Edublogs provides valuable information for those beginning their blogging experience. Find out about the different uses of pages and posts. Discover how to use your dashboard. Tinker with your template to create a blog that represents your interests. CREATE your first PAGE - include information about the theory of constructivism, Bloom's taxonomy, and how these inform or shape your own application of educational technology to your teaching practice. CREATE your first POST - introduce yourself to the blogging audience with some references to purpose, intention, audience and context.